Apply makeup like a professional with the Spectrum Collections 10 Piece Essential Brush Set; a complete collection comprising ten ultra-soft makeup brushes that combine a vibrant colour palette with expert hand-crafted design. With a variety of brushes for a number of uses including the face and eyes, the brush set is an essential for any makeup lover. Helping you step up your foundation game, the buffer brush is designed with a flat top brush head comprising super soft bristles, which create a light buffing action on skin. The unicorn-inspired brush is the ideal tool for applying cream and liquid products evenly, with the option of buildable coverage. 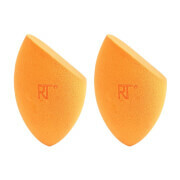 It is also efficient for stippling powder onto shiny and oil-prone areas of the face. Offering superior buffing and blending, the brush helps to create a flawless complexion and seamless results. Perfect for touch ups on-the-go, the domed powder brush is an essential companion when applying translucent powder or bronzer. The super soft, synthetic bristles effortlessly pick up product and distribute it evenly across skin. Use with bronzer for an all-over sunkissed glow or translucent powder to set makeup in place and achieve long-lasting results. The ‘Blush Crush’ brush boasts an angled brush head and super soft, synthetic bristles, which are ideal for applying a small amount of product and building up colour. Effortlessly blending product for a seamless finish, the brush offers natural and professional looking results. Changing the way you apply colour to cheeks, the unicorn-inspired precision blush brush is an essential addition to any brush collection, leaving cheeks shaded, highlighted and enhanced. The miniature ‘Under Cover’ buffer boasts super soft synthetic bristles and a flat top brush head, making it the most effective brush for applying and blending cream concealer into skin. 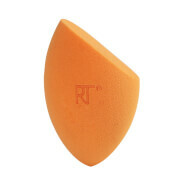 The small brush is the perfect size for targeting and covering dark circles and blemishes with concealer. The baby buffer is an essential addition to any brush collection, simply buff until a flawless finish is achieved. The ‘Shady Lady’ blending brush arrives in a wide, flat shape, which is ideal for applying a wash of powder and cream makeup products to the entire eye lid. The large, fluffy head boasts super soft, synthetic bristles to blend hues with a seamless, expert finish. Ideal for a subtle everyday look or for building colours to create intense drama. The ‘Blending Friend’ is the perfect tool for applying and blending eyeshadows seamlessly. The coveted blending brush is crafted with a super soft, fluffy brush head, which can create an array of eye-catching makeup looks, from soft and subtle, to smokey and defined. Whether it’s blending out colour or building up hues, the tapered blender is an essential addition to any makeup brush collection. The versatile ‘Eye Spy’ brush boasts an angled brush head and is the perfect size for blending eyeshadows and defining peepers. The soft angle effortlessly shades the outer corner of the eye and allows colour to fade into the crease for a flawless contoured eye. The fluffy, unicorn-inspired brush is an essential addition to any makeup bag. Expertly frame the face with the Angled Brow Brush. The brush boasts super soft yet firm, synthetic bristles and a precise, angled brush head, which makes applying gel, wax or powder brow makeup effortless. The winged definer leaves brows defined and enhanced. The unicorn-inspired brush can also be used to apply gel eyeliner. The angled head reaches right into the lash line to deliver precise application and a fierce, cat-eye flick. 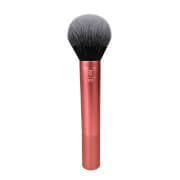 The ‘Get Your Pout Out’ brush boasts soft yet firm, flat bristles, which work with a variety of cream and liquid liners. Effortlessly gliding over skin, the brush is ideal for lining, defining and filling in the lips. Complete with a tapered tip, the unicorn-inspired brush offers superior precision and prepares lips for a wash of colour. The ‘So Fine’ liner brush is Spectrum Collections’ thinnest brush. The precision tool comprises an ultra-fine brush head with a pointed tip and an angled ferrule. Ideal for application gel, cream or liquid eyeliner, the brush delivers superior precision and fluid movement for expert results. The angled brush allows for additional control of the movement, meaning it’s never been easier to create a fine and fluid line to define eyes.